The Center for Integrated Molecular Brain Imaging (Cimbi) has recently come to conclusion of its funding period from the Lundbeck Foundation. 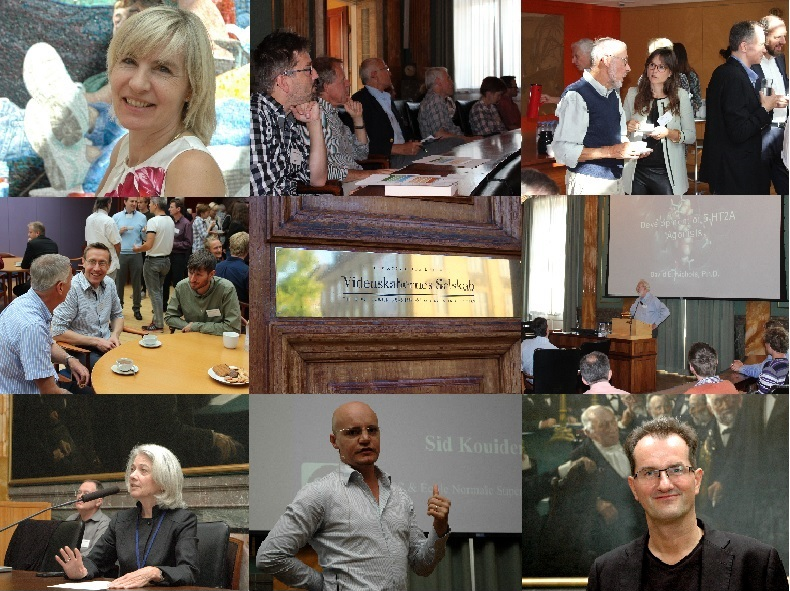 Therefore the 10-year (2006-15) long initiative was celebrated at an excellent 3-day closing symposium in September 2015, supported by and held at the Royal Danish Society for Sciences and Humanities. A few photos from the symposium can be seen to the right. 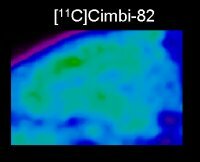 After 2015, Cimbi will continue as an action confined to the radioligand development work (former Platform 1) and the name of Cimbi will still be associated with the established Cimbi Database and Biobank which have been internationally recognised as unique and rich sources for researchers with particular focus on neurobiological research questions related to the serotonergic transmitter system. The overall aim of Cimbi has been to uncover basic questions regarding interindividual differences in behavior and personality in healthy people with a particular emphasis on phenotypical variations that are likely to be causally related to variations in the serotonergic transmitter system. Individual differences in trait effect and personality are for a large part genetically determined and they are critical in shaping complex human behavior, social interplay and also in overcoming challenges from the ever-changing environments. Such individual differences may also serve as important predictors of vulnerability to neuropsychiatric disorders, including depression, anxiety and memory disorders. Neuroimaging studies, including molecular, structural and functional MRI studies have been used to uncover the neural substrates of interindividual variability with a particular emphasis on the serotonergic transmitter system. At the same time, genetic variation has been considered as an important component substantially adding to interindividual variability. In the first life cycle of Cimbi (Cimbi-I, 2006-10) we have demonstrated a number of relevant and meaningful associations. These studies illustrated the predictive links between genetic or trait-like behaviors (e.g., trait neuroticism) on one hand and regional brain structure, activation and serotonergic markers on the other hand. Such correlation studies were useful and informative, and they provided us with neuroimaging biomarkers of disease susceptibility and suggested causal links. In the second operative period of the Center (Cimbi-II, 2011-2015) we focused on longitudinal and interventional studies in order to better address causal relationships and to substantiate the predictive value of brain imaging as biomarkers. Specifically, Cimbi-II operated with five interacting themes of relevance for the serotonergic transmitter system: Mood and Emotions, Biorhythms, Affective Cognition, Brain Development, and Decision-making. In addition, two platforms were included, one for radioligand development and validation, and another for data analysis. The Center for Integrated Molecular Brain Imaging was founded on a collaboration between a number of research institutions in Copenhagen. These institutions have formed the core of Cimbi and all the research activities in Cimbi involved one or more of these institutions. The core institutions have been distributed among the Copenhagen University Hospitals, the Technical University of Denmark and the University of Copenhagen. Furthermore, a number of other Danish and international institutions have been associated with Cimbi as collaborators in one or more subprojects in Cimbi. The institutions involved in Cimbi research therefore spanned many scientific fields and provided the strong foundation needed to carry out the diverse activities undertaken in Cimbi. The Council of Investigators (COI) group consisted of the senior researchers and postdocs with the daily responsibility for the different projects within Cimbi. The COI group met once a month to mutually inform about status in all projects and also discuss practical and scientific aspects. Professor Gitte Moos Knudsen who is the center director. She is based at the Neurobiology Research Unit (NRU) at Rigshospitalet. Professor Hartwig R. Siebner who is based at the Danish Research Centre for Magnetic Resonance (DRCMR) at Hvidovre Hospital. Professor Lars Kai Hansen who is based at the Department of Informatics and Mathematical Modelling at the Technical University of Denmark (DTU). Professor Terry L. Jernigan who is based at the Department of Cognitive Science at University of California, San Diego (UCSD). Professor Sven Frøkjær who is based at the Faculty of Health and Medical Sciences (former FARMA) at University of Copenhagen. Chief Medical Officer Jannik Hilsted who is based at Rigshospitalet. Peter S. Jensen who is based at the Neurobiology Research Unit (NRU) at Rigshospitalet.